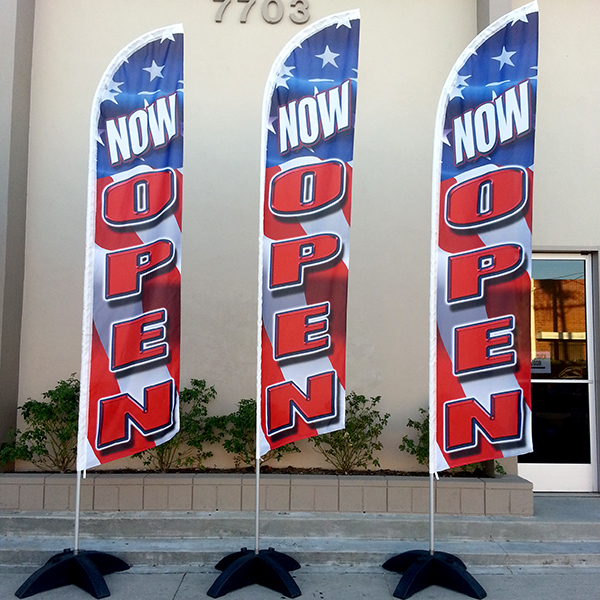 Grow your business with the best advertising ideas on the market! 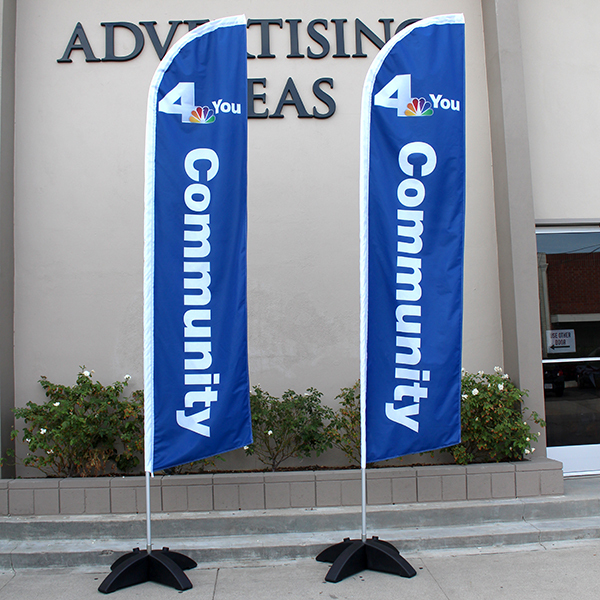 Our advertising feather flags come in a variety of sizes and different stand options are available: the ground spike that you have to hammer into the grass or dirt, the tire mount is a U-Shape base that goes underneath a car tire and the Universal X-base, our Advertising Ideas, Inc. patented product that is fillable with water or sand made specifically for cement or concrete (hard floor surfaces). 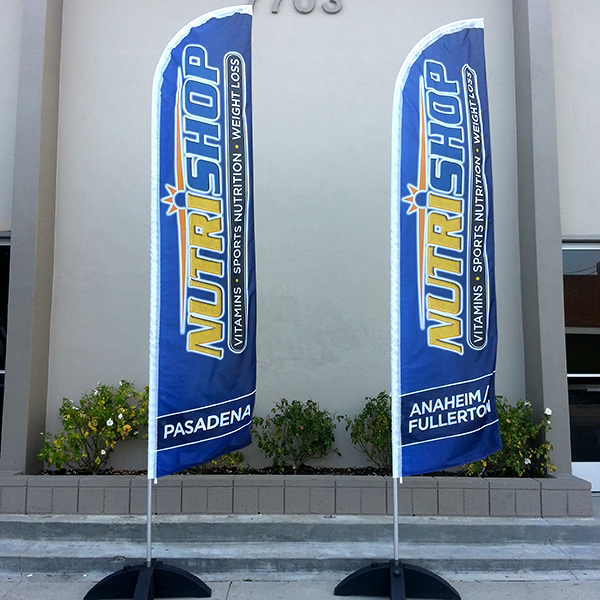 These high quality feather banners or flags are made to order in our Los Angeles based warehouse at very competitive prices and we are proud to stand behind every single product manufactured in our facility. 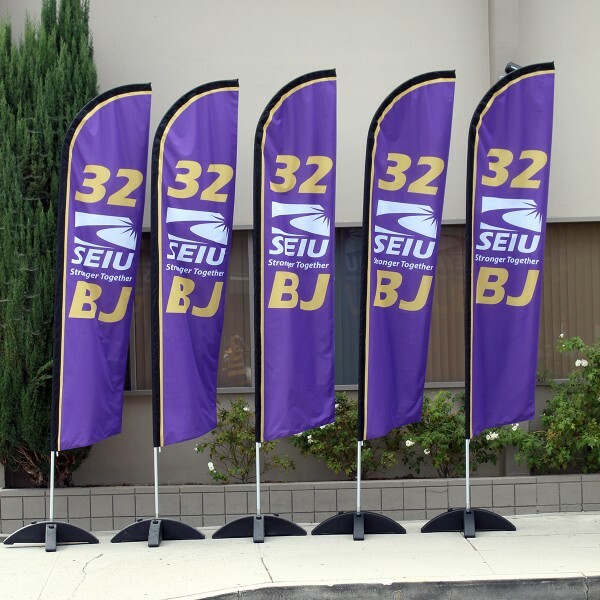 If you are interested in purchasing a large quantity, please CONTACT US 1-800-778-2675 and we can give you better estimates to meet your budget. We also offer free assistance along the designing process. 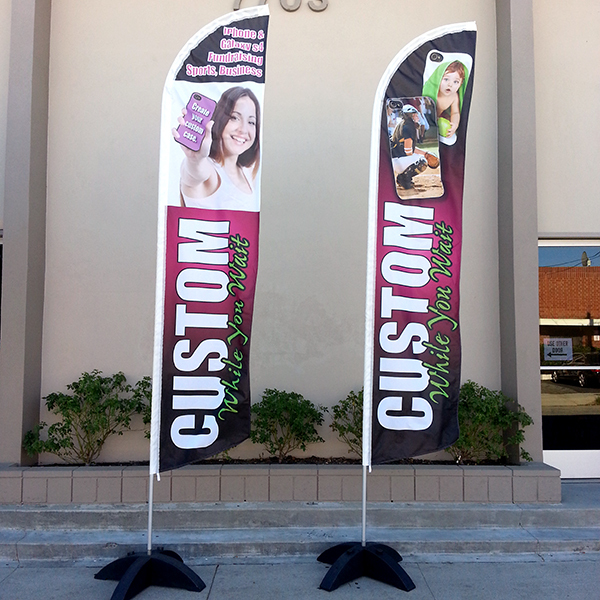 Our designs team will work closely with you to meet your expectations by e-mailing free mockups of your request for approval. 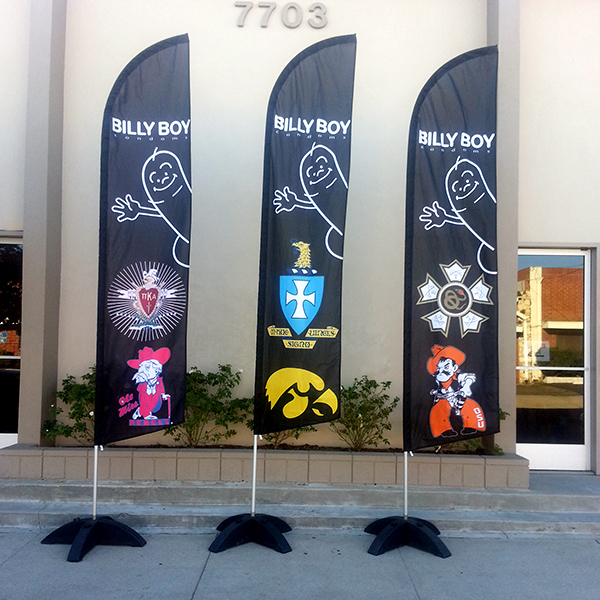 Once the artwork is approved by our customer, time in production takes up to 2 business days for the order to be completed and shipped out. 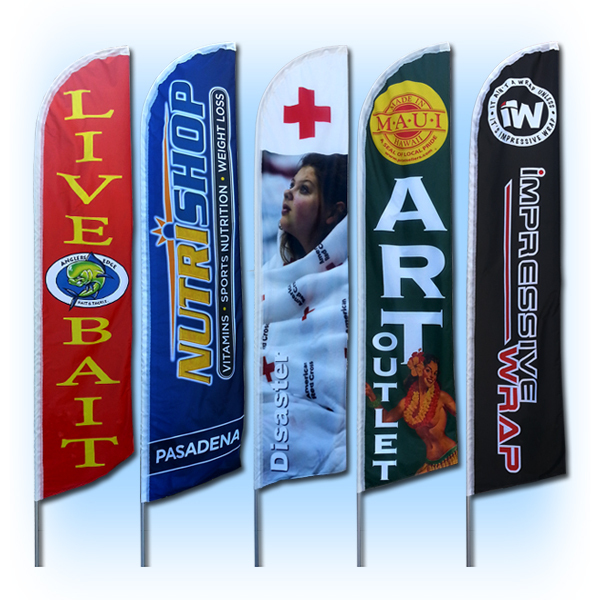 If you prefer to create your own design, you can upload your files and designs on our website and we will confirm with you right away if the designs are print ready, the resolution and logos are good to print. 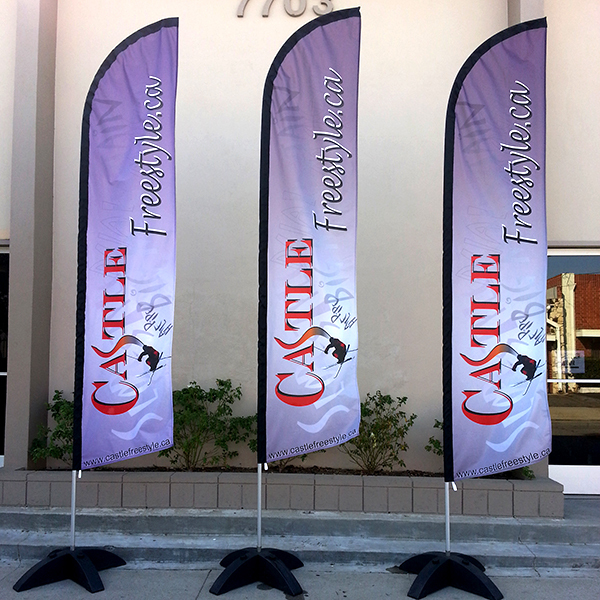 You can also use our free design software where you can play around with background colors and fonts and let your imagination loose by creating some original designs! 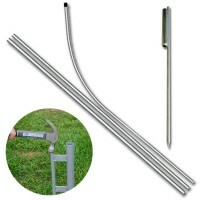 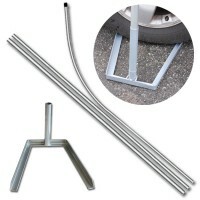 Flag Pole & Ground Spike Kit.. 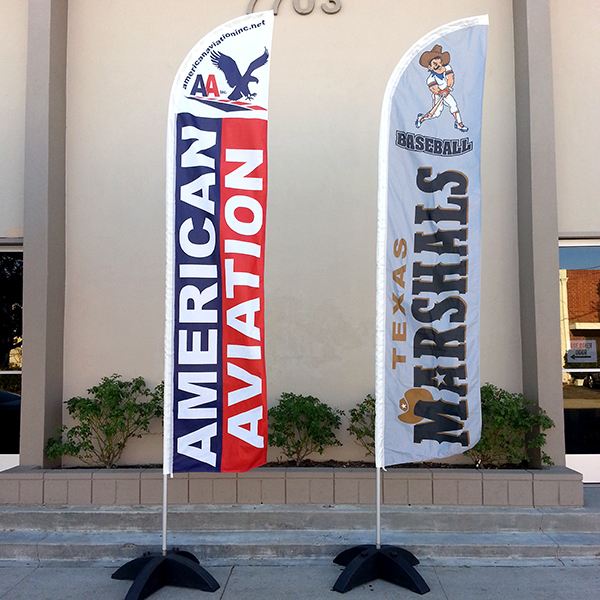 Flag Pole & Tire Mount Kit for STOCK and CUSTOM Printed Advertising Feather Flags..